Marketing TechnologyContentThe 10 types of content and experience platforms: Which are best for your business? 63% of marketers don't have a documented content strategy. This overview of the types of content & experience platforms available is a first step toward changing that. The world of content and experience is a diverse one for marketers, and there have never been more options to publish high-quality content that converts. This is one of the most engaging ways to interact with consumers. And 72% of marketers have reported that content marketing has quantifiably improved prospect engagement. Content marketing platforms give marketers the ability to not only create content, but measure the performance of that content. This data can then be used to refine future marketing campaigns and increase lead generation in tandem. Content marketing is a great strategy for lead generation, but it remains underutilized as a marketing tactic. In fact, recent surveys have shown that as many as 63% of marketers don’t even have a documented content strategy. Beyond simply being content creation tools, the most innovative platforms on the market today also empower marketers to customize the customer experience. Websites, mobile applications, and even one’s product can all be tailored so as to increase customer engagement, and ultimately boost lead volume. Designing high-quality mobile marketing campaigns are a must in today’s mobile-first world. With consumers now using mobile experiences more than desktop, having a mobile marketing strategy is critical to success. 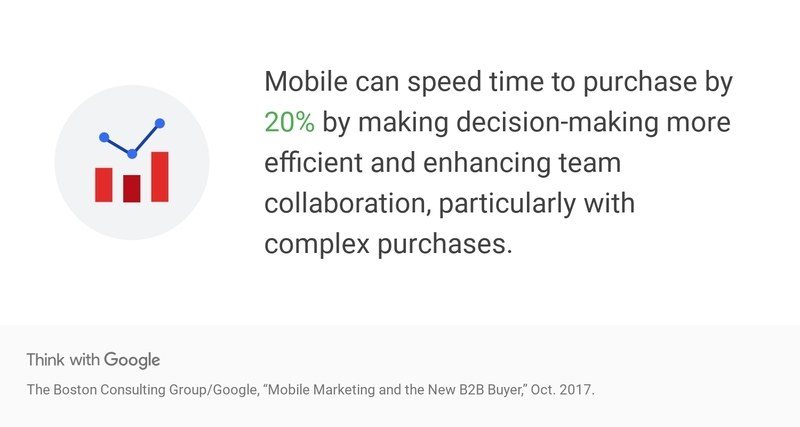 Research from Google has even shown that having prospects in a mobile funnel can speed time to purchase by 20%. According to the most recent martech landscape, there are now nearly 100 mobile marketing platforms on the market. Some of the most popular tools in this category are Flowfinity, Deeplink, and Monaca. Instead of publishing standalone content like white papers or case studies, brands and retailers can use interactive content to boost customer engagement and deliver value starting at the top of the funnel. Interactive content encompasses any content that customers can engage with in one way or another (like games, web apps, or even infographics). Many interactive content platforms on the market today help facilitate the development, deployment, and tracking of these assets. At last count, there are more than 150 such platforms available for marketers today. Some (like GameSalad) are focused on creating niche content or games. Others, like Ceros or Genially, offer marketers a one stop shop for creating all kinds of interactive content. Video marketing platforms are focused solely on – you guessed it – creating great video content that converts. Needless to say, video has skyrocketed in popularity lately. Five billion YouTube videos are watched every day, and 1/3 of the internet is on YouTube. What’s more, video generates 1200% more shares on social than text and images combined. Most of these platforms also include analytics and optimization functionality, and some will even integrate with your CRM for easy lead generation. Some video marketing platforms are focused on general marketing users, while others are targeted towards specific use cases. Vzaar and vooPlayer offer enterprise-grade video marketing and analytics, while platforms like Animaker are dedicated solely to creating animated marketing content. There are now a vast number of email marketing platforms on the market, giving marketers more options than ever in deciding how to deploy content. Many email marketing platforms are built for generalists, but some do service specific use cases, like detailed email analytics or even database stewardship. Heavyweights like MailChimp and Aweber fall into this category, as do email analytics platform Mailytics and Ezepo, which are opt-out collection tools. Content marketing platforms are dedicated to helping marketers share rich media that attracts their target audience. Educational blog posts, social media content, or ebooks are all types of content commonly sent out via content marketing tools. 55% of professionals say a great story helps keep their focus on content, making content marketing critical for businesses today. Many content marketing platforms are focused on landing page or ad optimization. Platforms like Instapage and Dynamic Yield can help businesses optimize their marketing content across multiple channels and capture analytics on user interactions. Other content marketing platforms (like Rallyverse and Listly) are focused on specific types of content, like social media or viral lists. Increasing conversion rates throughout the funnel is key for marketers, and numerous platforms are dedicated to doing just that. Many of these platforms help businesses optimize their websites, while others enable dynamic content recommendation. Optimization is critical to improving marketing ROI — and 44% of CMOs have set it as one of their key operating priorities. Many optimization tools focus on one type of optimization. Tools like Spinnakr are dedicated solely to optimizing web traffic, while others like Nelio are for A/B testing through WordPress. Some optimization platforms (like Retention Science) can even use AI to optimize content at an individual level. Digital Asset Management and Marketing Resource Management platforms help marketers better store and distribute digital files for marketing purposes. There are hundreds of platforms in this space, many of which focus on specific areas of digital file management. Tools like Adgistics and Templafy act as comprehensive file management solutions, while platforms like Isebox service purely PR content management needs. Many of these tools are tailored to small-to-medium sized businesses, but some (such as OpenText) are designed for large enterprises. SEO (or Search Engine Optimization) tools help marketers optimize the plain-text content of their websites for more efficient indexing by Google and other search engines. Most of these platforms provide analytics capabilities and give marketers the ability to optimize links and other content as well. Google Analytics is often a key source of data for SEO practitioners, but there are other quality sources of data as well. Tools like Moz, BrightEdge, and Rio SEO all offer fully-featured SEO solutions that are targeted towards marketers from startups and enterprises alike. Marketing automation platforms help marketers push their messaging out to their lead database, often across multiple channels. These platforms also include analytics capabilities and often support integration with third-party platforms, such as CRM tools or web analytics platforms. Some of the best-known marketing automation tools are Marketo, Pardot, and Hubspot. Salesforce’s Marketing Cloud is also a popular choice for enterprise-grade businesses. There are also more lightweight platforms for specific use cases, like ConvertKit and Datatrics. CMS (or content management system) platforms give marketers an easy way to organize and view creative content across an entire website. Many of these platforms provide hosting services along with the management capabilities, and nearly all of them allow you to manage your website as well. Drupal is one of the most widely-used open source CMS solutions on the market today. Other content infrastructure tools include Contentful (which is great for written content), Appernetic, and Moonfruit (ideal for responsive design). The numerous content marketing tools available today make it easier than ever for marketers to deploy great content that converts. That said, it’s important to keep in mind that having a coherent content strategy is a precursor to getting a successful ROI on your content. Having a clear direction for your content and knowing where to place it in the funnel will help you increase your conversion rates, and boost revenue in the process.